The Periyar Tiger Reserve is South India's most popularwildlife sanctuary. Covering an area 777 km in size around a 26 km artificial lake, the sanctuary is home to about 1000 elephants, about 35 tigers, bison, wild boar, langurs and deer besides a bewildering array of other species. The vegetation of the reserve is made of evergreen and semi evergreen rainforests with the canopy at times reaching a height of 40 to 50 metres. The Periyar and Pamba rivers flow through the forest and at certain times during the day animals come to drink around the large artificial lake.People oriented community based ecotourism is the hallmark of Periyar Tiger Reserve. 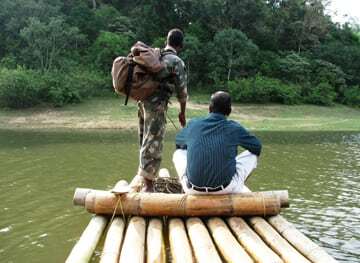 These programs are conducted by locals who,by taking tourists along not only interpret the values of Periyar and enhance the visitor experience but also add to the protection of the park and earn a livelihood out of it. 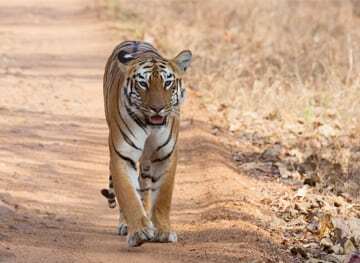 Hence, when visitors take part in these programs they are directly contributing to the cause of conservation and community welfare.Besides the Periyar Tiger Reserve there are plenty of activities that guests can participate in the in the Thekkady area as well many interesting sightseeing trips that one can go on. 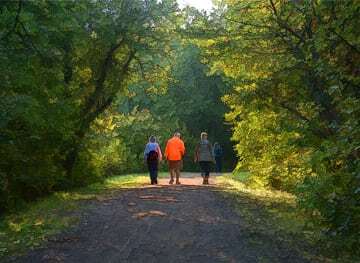 It is an interpretive sandal wood protection trekking program offering excellent opportunitiesfor watching birds, butterflies and other wildlife passing through a range of habitats during the 4-5 km 3-hours walk. These treks go through different nature trails inside the Park. 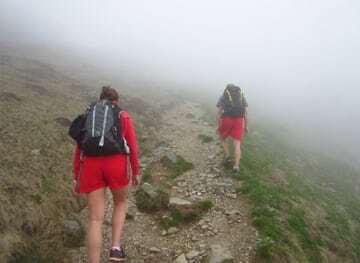 A maximum of 5 peopleare allowed on each trek accompanied by a trained tribal guide. 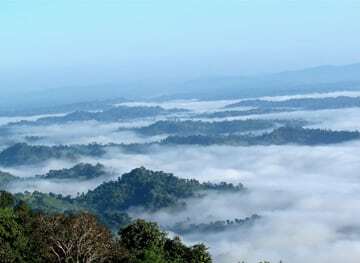 On this trek, from a vantage point, guests will get to see extending below a panorama of grasslands, evergreen, deciduous and riverine forests and the expanses of land irrigated by the Periyar river, the Cumbam Valley, the heights of Mangaladevi, Kumarikulam, the escarpments of the Fort of Periyar and the Palani hills in the distance. There are chances of sighting some habitat specialist birds and butterflies including endemics like thenilgiri pipit, broad-tailed grass bird, tree nymph. 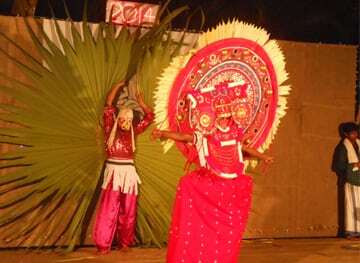 Guests can also experiencethe rich cultural heritage of the Mannan Tribe that has been preserved in the form of the artifacts in the Tribal Heritage Museum. This program envisages a three hour night trek providing a rare opportunity to observe some of the interesting night life of the Thekkady forest such as civets, mouse deer, flying squirrel and various nocturnal bird species. 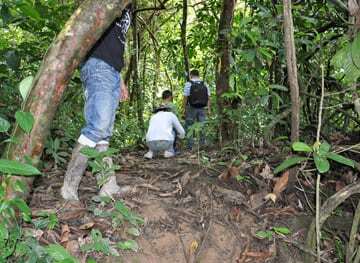 Participants will be contributing directly to protecting the buffer zone and fringe areas of the Reserve as they travel in the company of forest watchers and trained guides.A trek ideal for younger visitors fit and disciplined enough to walk in the silence of the night. Three time slots are offered along two routws. It is day-long range hike along the borders of Periyar Tiger Reserve. The route passes through undulating terrain and altitudes ranging from 900 m to 1300 m where the trekkers can glimpse the lofty escarpments bordering the park, watersheds and the vast stretches of CumbamValley below. Gaur, sloth bear and elephants are often sighted apart from birds and butterflies. Groups of 10 guests in two batches accompanied by guides and armed guards go on the hike that starts early in the morning. This is the dawn to dusk hiking and rafting program through some of the richest forest tracts of PeriyarTiger Reserve. It starts early in the morning and goes through a mosaic of habitats and forest rich in bird life, arboreal animals like Giant Squirrel, Nilgirilangur, herds of elephants and gaurs. The rafting is of about 3 hours duration where one gets a panoramic view of the forest clad hills reflected on the lake. 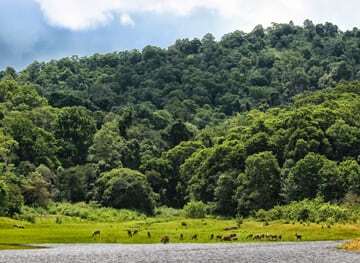 Periyar Tiger Reserve is a model worldwide for the harmonious co-existence between indigenous tribal communities nestled in the Periyar Tiger Reserve namely the Mannans, Palliyans, Malayarayans, Mala Pandarams, Urails and Ulladans. The tribal heritage are performance provides an exclusive opportunity to witness the rich cultural heritage of Paliyan and Mannan dancers. This one hour performance also includes a brief introduction to the tribal communities, information on various musical instruments and costumes used for the dance performances as well as a memorable photo session with members of the tribes.